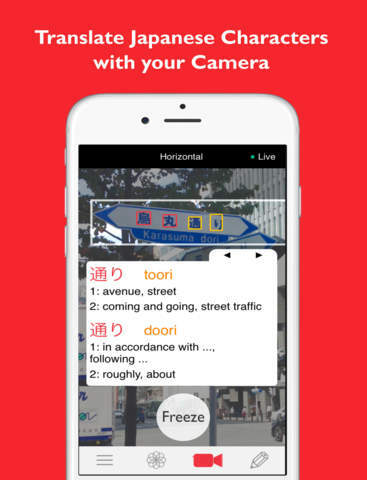 Yomiwa is an easy way to translate instantaneously Japanese with your camera. 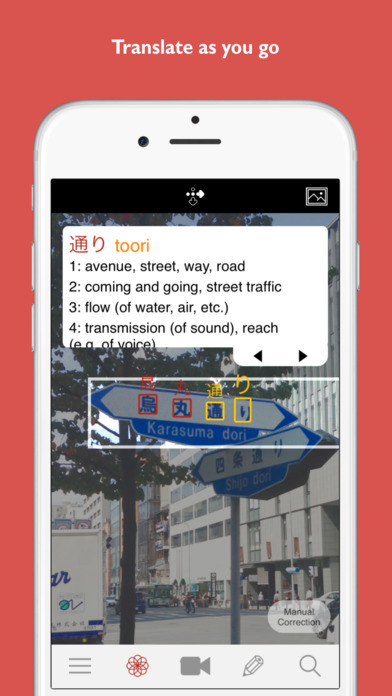 The app displays a pop up with English translations of single kanjis and words as soon as you point to Japanese characters with your iPhone or iPad. You can as well take a picture or pick one from your camera roll and navigate it to translate chosen characters. Yomiwa also lets you recognize Japanese characters by drawing them on your screen.